The Model ESW-SRW Grit Washer is designed to wash sediment taken from grit chambers in sewage treatment plants. 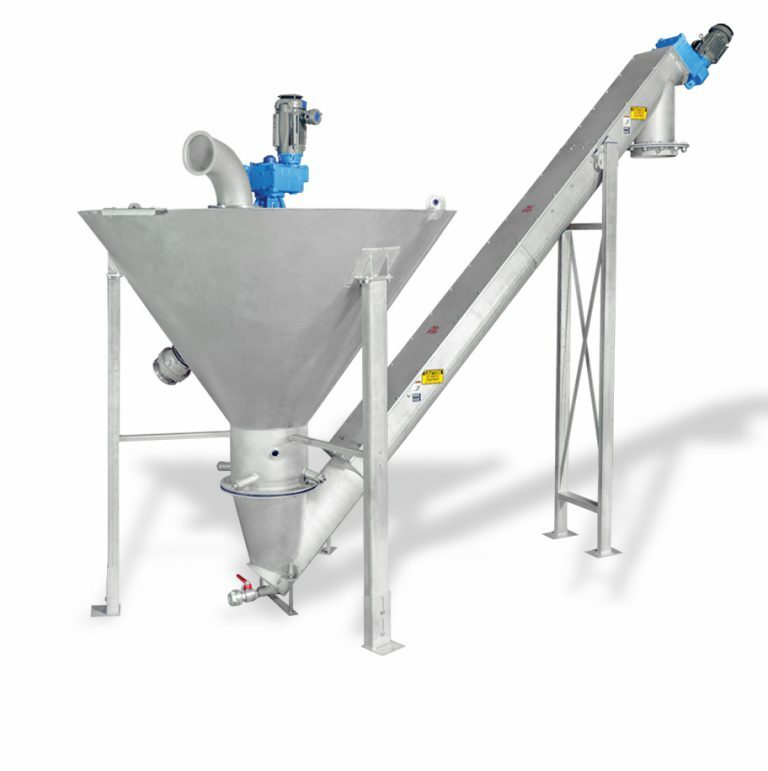 The Grit Washer washes and dewaters the sediment and transports the resultant sand particles to a container or conveyor while the organic matter and wastewater is reintroduced into the flow stream. The Grit Washer receives the sediment from the grit chamber through a grit pump. A mechanically driven propeller is used to fluidize and scour the grit bed. Fluidizing the grit bed causes grit particles to shear against each other and this action separates the organic matter from the sand particles. As this occurs, the sand falls to the bottom of the tank displacing water and creating a sand bed. Wash water is then introduced to the bottom of the tank and the water carries the separated organic matter to the top of the tank and out the overflow weir. The organic matter and excess water exit the tank through the integral drain pipe. This cleaning action helps the Grit Washer achieve a minimum of 97% organic removal with 95% retention of sand particles 0.2mm or larger. A pressure transducer is used to monitor the level of the sand bed. When the sand bed reaches a predetermined level, the discharge conveyor operates and discharges clean and dry grit particles.